Uglyworld #51 - Red Wage's Pizza Face, originally uploaded by www.bazpics.com. 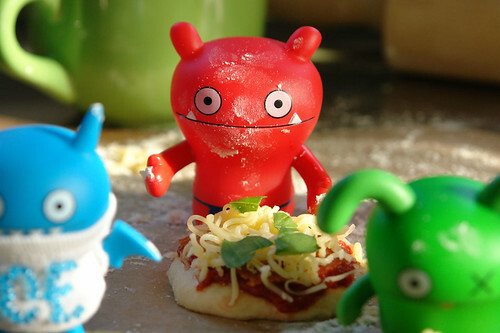 Check out the state Red Wage got into while making his mini-pizza along with the other guys on Sunday morning. As I took the picture I was laughing and Wage kept asking "oi, what you laughing at?"